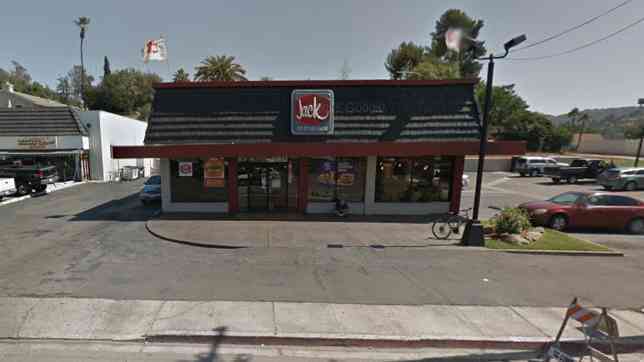 A deputy used an electric stun gun Tuesday to subdue a man who allegedly threatened him and an off-duty colleague with a cinder block while they were trying to arrest a combative woman outside an East County fast-food restaurant. 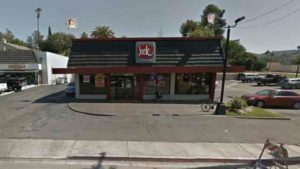 The uniformed deputy escorted the woman out of the Jack in the Box in the 12100 block of Woodside Avenue in Lakeside about 6:45 a.m. following reports that she had been disruptive inside the business, according to sheriff’s officials. Once outside the building, the woman walked into traffic lanes, Sgt. Cliff Rinder said. The deputy followed her into the street, guided her over to his parked patrol vehicle and started taking her into custody. When the lawman began handcuffing the woman, she began resisting, Rinder said. Moments later, the off-duty deputy happened to drive by, saw what was happening and pulled over to help gain control of the detainee. As the deputies struggled to restrain the woman, a 38-year-old man walked up with a large cinder block in his hands and told them to let go of her, the sergeant said. The on-duty deputy responded by drawing his service gun and instructing the man to drop the piece of construction material. After hesitating for a few seconds, the aggressor dropped the block. He continued behaving aggressively, however, and ignored repeated commands to get down on the ground and surrender, prompting the deputy to zap him with his stun gun. Both suspects were then taken into custody without further incident. The man was booked into county jail on suspicion of assault with a deadly weapon, and the woman was taken to a hospital for a mental-health evaluation. Their names were not immediately available.